Researchers have long known that Common Loons return to the same nesting sites each spring. Now a team from the Biodiversity Research Institute, in Portland, Maine, has found that loons also return to the same locations each winter. Led by James Paruk, a senior scientist in BRI’s Center for Loon Conservation, the group studied birds at four sites: Lake Pateros, a freshwater reservoir on the Columbia River in central Washington; Morro Bay, a coastal estuary on the central California coast; Barataria Bay, in southeastern Louisiana; and three reservoirs in western Maine. In Washington, California, and Louisiana, the researchers surveyed or recaptured banded loons. In Maine, they implanted satellite-tracking devices in six birds. About 85 percent of adult loons returned to the same locations year after year, usually within two kilometers (1.25 miles) of previous wintering locations, Paruk and his colleagues report in The Condor: Ornithological Applications. One loon returned to Morro Bay for six consecutive winters, from 2004 through 2010. The satellite-tracked birds from Maine wintered along a 745-mile stretch of the Atlantic coast. 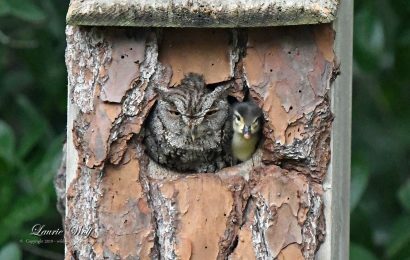 Males spent winters near islands off the coast of Maine, while females wintered south of Cape Cod, Massachusetts, along the coast of New Jersey, and in Chincoteague Bay, Maryland. 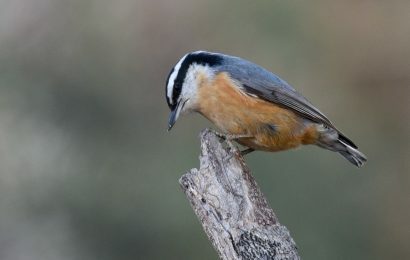 The birds used areas no larger than 10-20 square km (3.8-7.7 square miles) for the duration of the winter. In midwinter, they molt their wing feathers, leaving the birds flightless for several weeks. As the maps above from our “On the Move” column show, Common Loon can be found in most of North America at some point of the year. 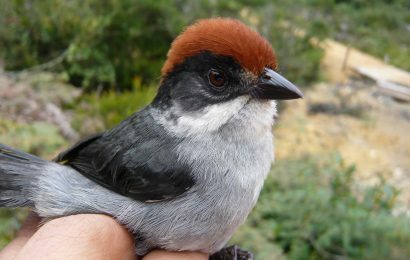 In summer, it occurs across Alaska, Canada, and the northern regions of the lower 48 states, where it nests on small islands in clear, clean lakes with an abundance of small fish. Subadults, represented by light purple squares south of Canada on the June map, may oversummer far south of the breeding range. By December, the species is found on inland lakes and reservoirs and along the Pacific, Atlantic, and Gulf coasts. 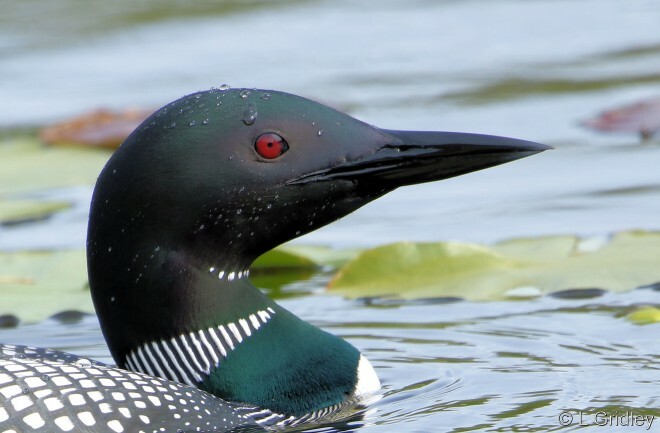 Loons stage in high concentrations in the Great Lakes and Gulf of Mexico and along the Mississippi River and other large inland water bodies, often due to inclement weather systems. They migrate diurnally, and they fly quite high when they’re over land. Impressive movements in the fall occur after the passage of a cold front, when winds from the north aid their migration. See eBird’s real-time distribution map for Common Loon. 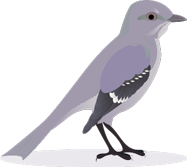 eBird is the real-time online checklist operated by the Cornell Lab of Ornithology and Audubon. “On the Move” is written by eBird’s Garrett MacDonald, Chris Wood, Marshall Iliff, and Brian Sullivan. 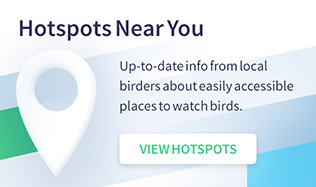 Submit your bird sightings at ebird.org. 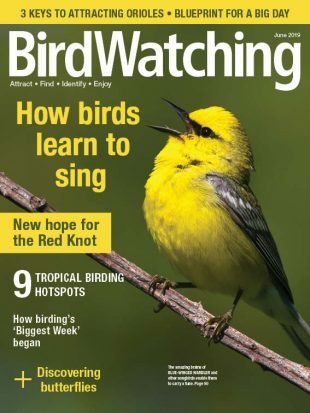 A version of this article appeared in “Birding Briefs” in the December 2015 issue of BirdWatching. Subscribe. Tracking devices let scientists watch as 16 young loons start their first migrations.